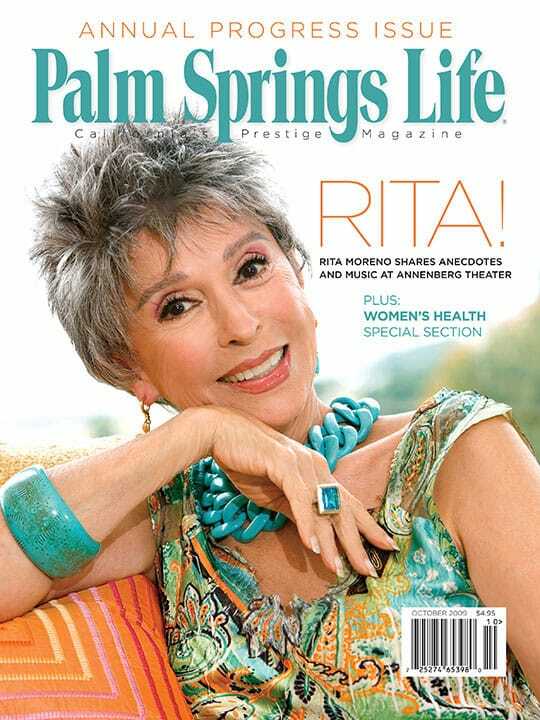 ON THE COVER – Rita Moreno. Photography by Robert Birnbach. By Joan Page McKenna. Photography by Robert Birnbach. Rita Moreno shares anecdotes and music in a night of cabaret at Anneneberg Theater. Businesses open doors and opportunities throughout the valley. 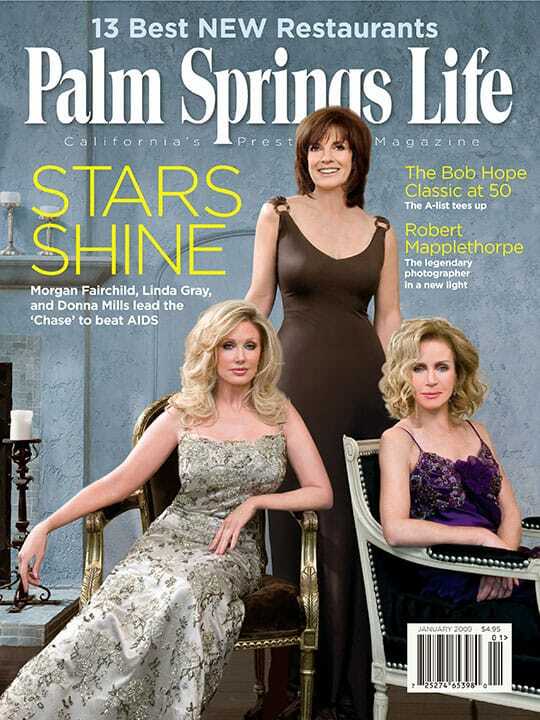 A special section on optimizing quality of life for women. By Jorie Parr and Janice Kleinschmidt. Acrylic artist Craig Zeigler, cosmetics expert Eric Sakas, Indio’s 100-year-old schoolhouse, couturier Michael Costello, Palm Springs Air Museum, and Intelligencer. Glass virtuoso Lino Tagliapietra opens a retrospective at Palm Springs Art Museum. Winemakers line up for Monte Rosso grapes. 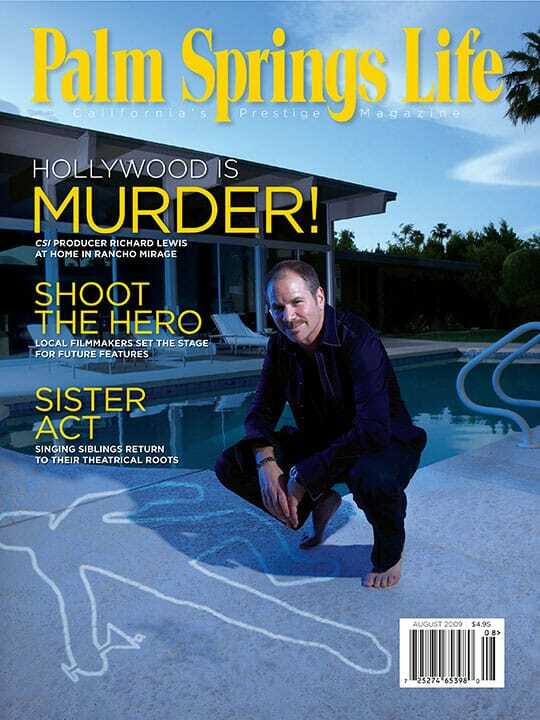 Amid signs of recovery, Harvey Katofsky takes a fresh crack at desert real estate. Think inside of what box? Shakey ground or solid footing? Coachella Valley sees signs of both.